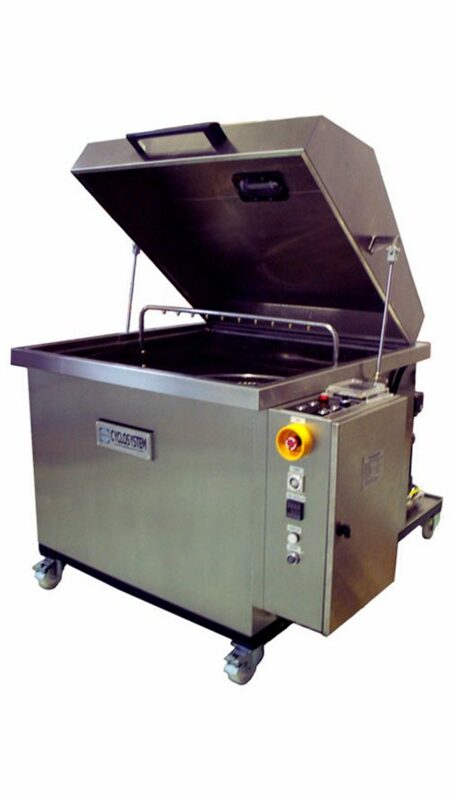 Best suited for cleaning small to medium sized mass production mechanical parts – using aqueous-based medium to high pressure spray jet cleaning technologies. 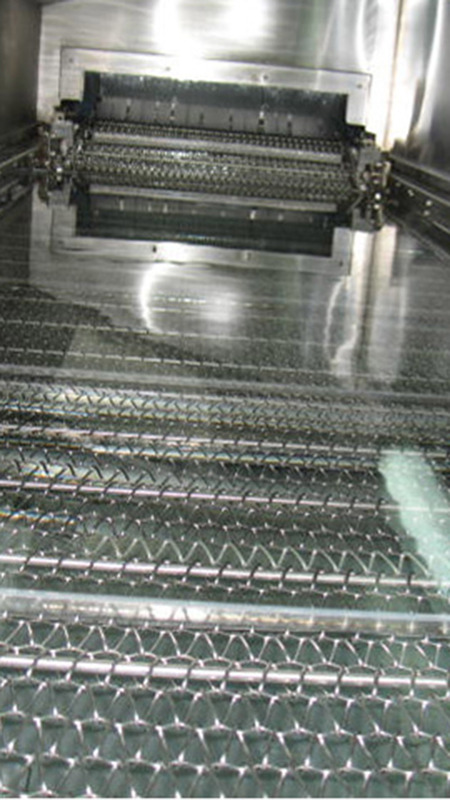 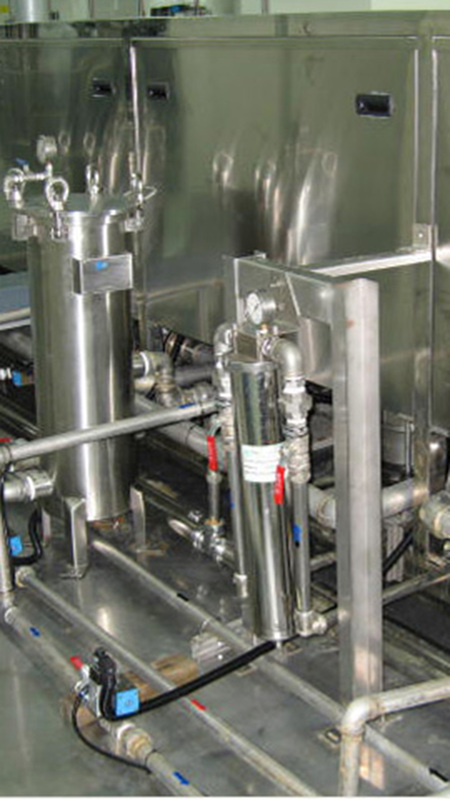 The cleaning process is continuous and involves several stages of cleaning and rinsing processes with options for different type of drying stages. 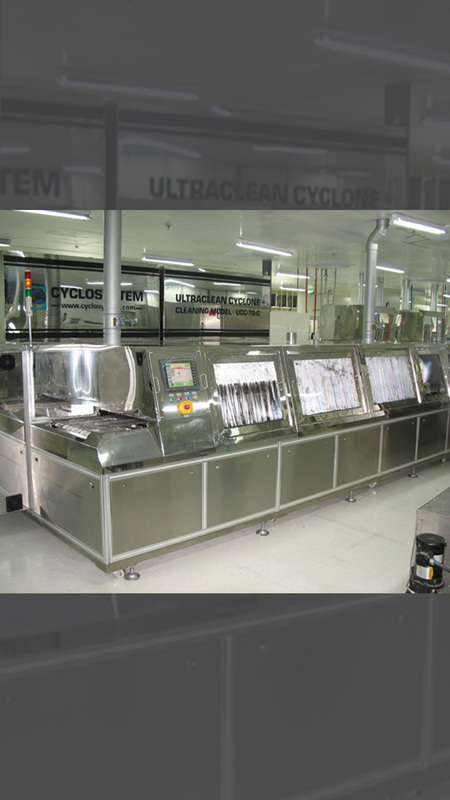 For critical and thorough cleaning requirements, Ultrasonic Cleaning technology may be employed as an option. 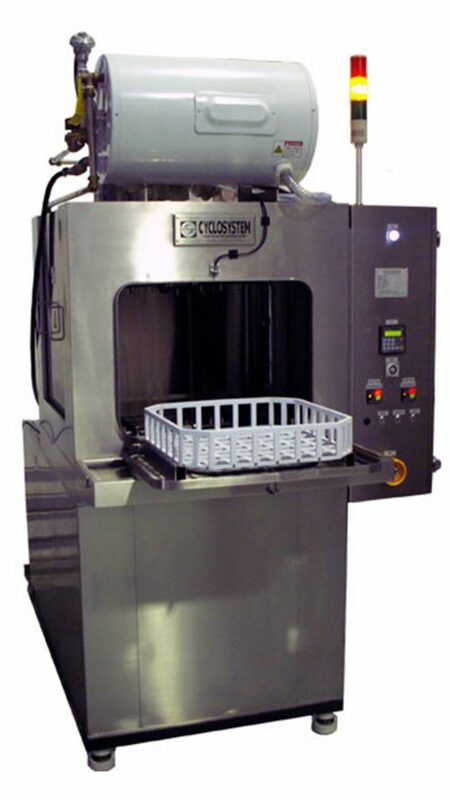 The Cyclojet Conveyorized/Tunnel Cleaners come in three standard sizes: Small/ Medium/ Large – according to the width of the conveyor – with other sizes customized as an option. 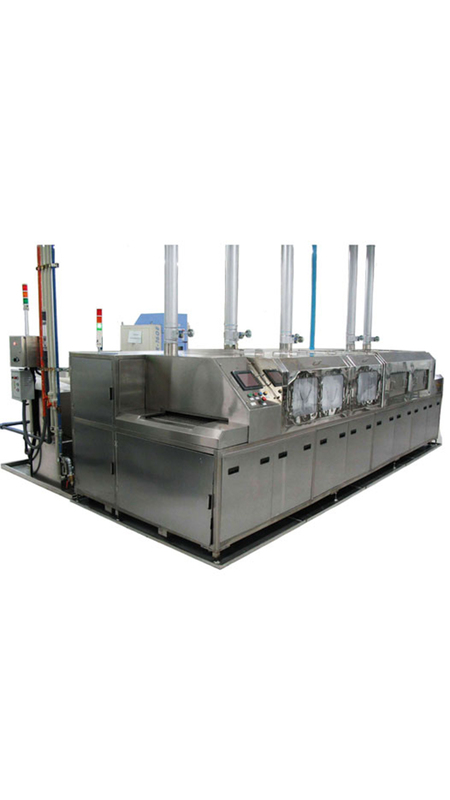 The typical standard cleaning process is as follows : LOAD > SPRAY CLEAN > SPRAY RINSE > FINAL RINSE > BLOW-DRY > UNLOAD – with others as an option. 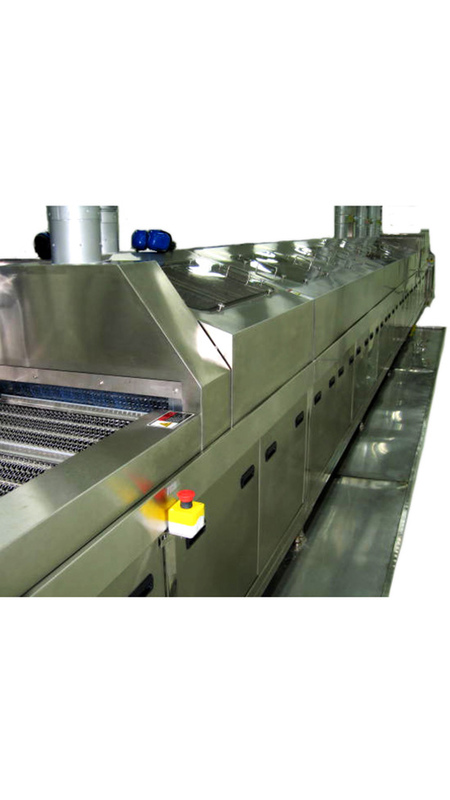 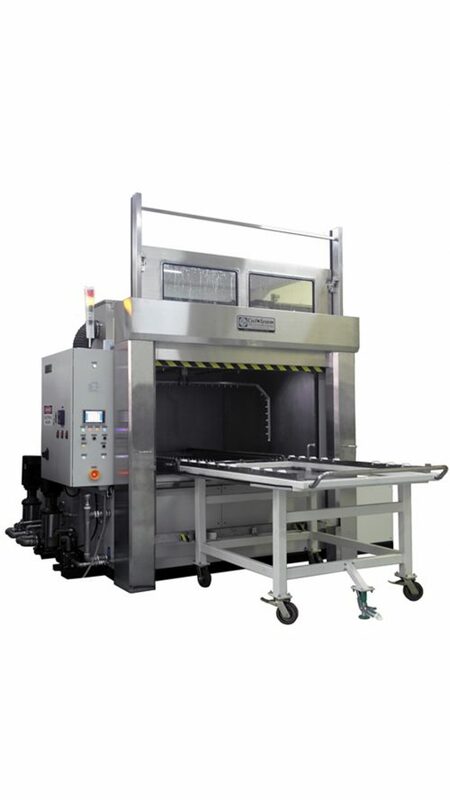 An optional fully integrated Conveyorised Drying Oven can also be incorporated into the Cleaning System to ensure 100% drying of the clean parts.